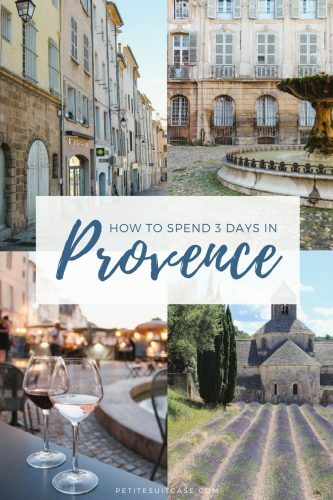 There are countless towns scattered throughout Provence, and truth be told, it’s impossible to see it all in just three days. Each one is worthy of being explored. Towns in Provence are always charming and usually have stunning views of the (hopefully lavender) fields below. 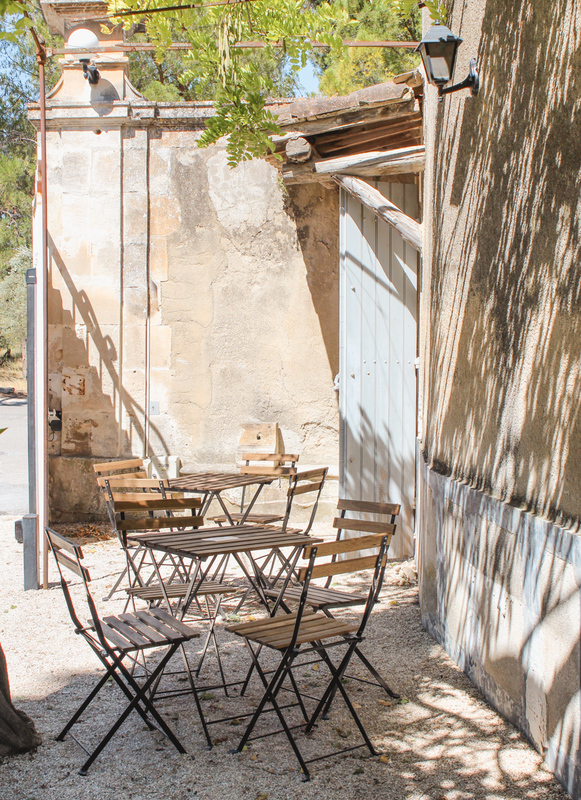 The late British author Peter Mayle introduced the world to the culinary riches and Provencal way of life in A Year in Provence. 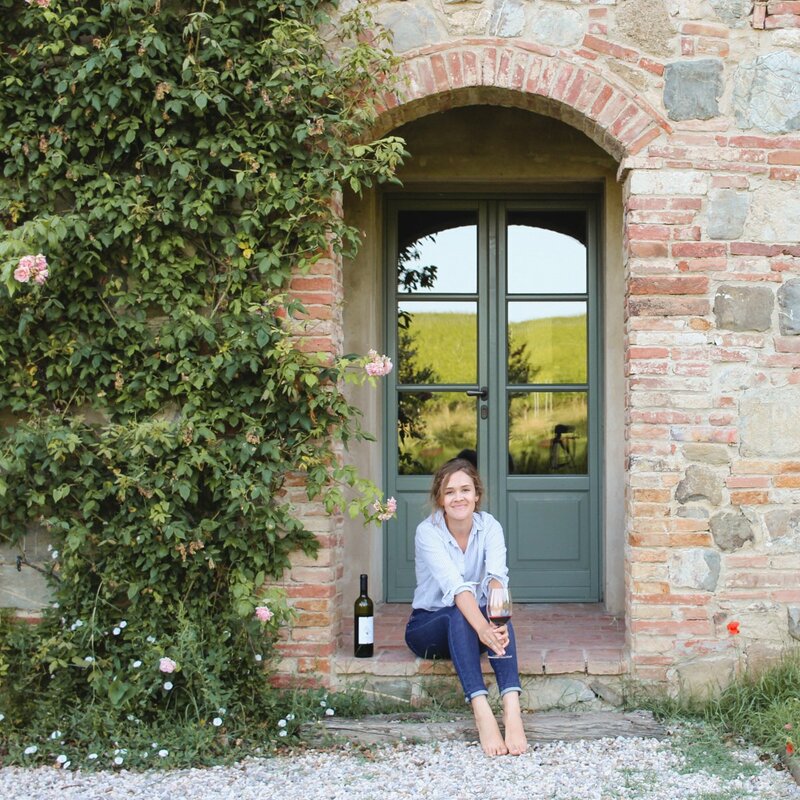 More recently, Jamie Beck of Ann Street Studio has been transporting her followers to Provence with her stunning self portraits and still life photography. 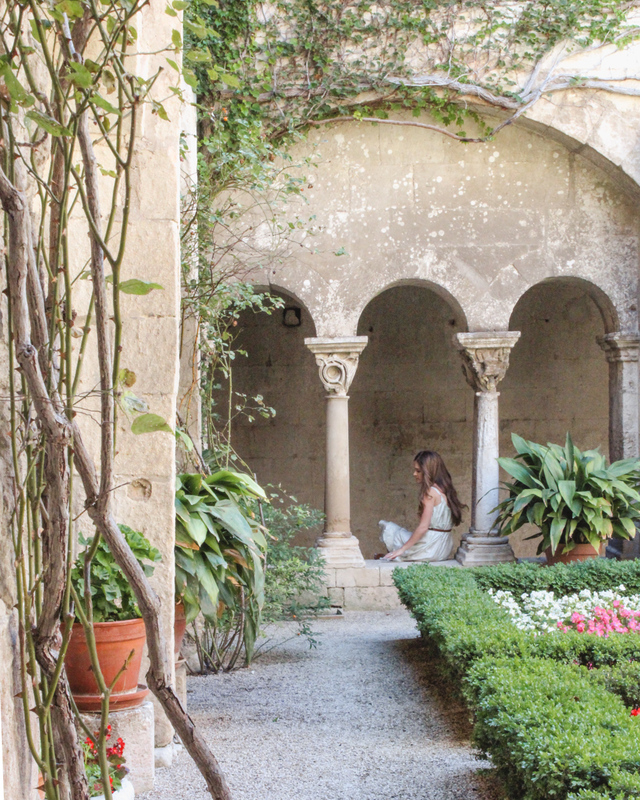 In this itinerary, I’ll show you how to see the best of Provence in three days. 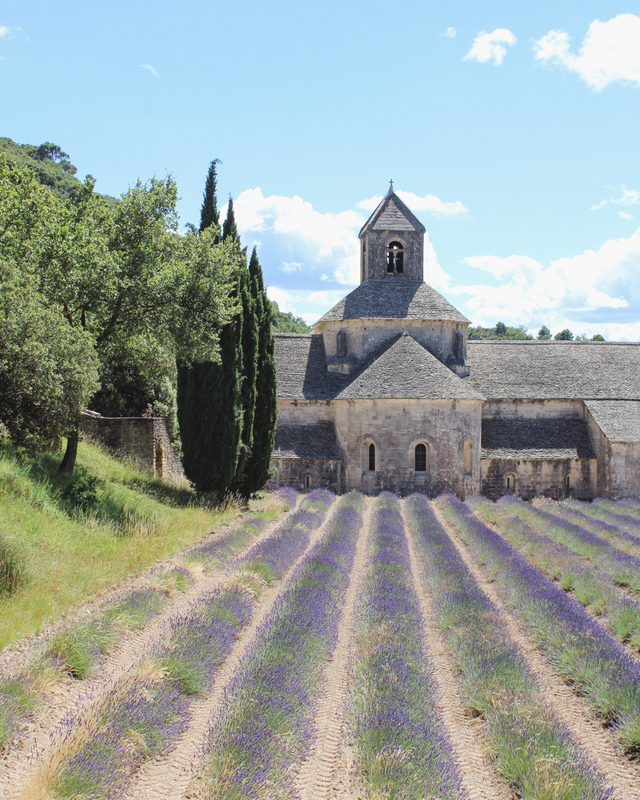 We visited Gordes, Aix-en-Provence, Ansouis, Roussillion and Saint-Remy-de-Provence. It might seem like that’s too much, but we didn’t spend more than two hours at most of the places. 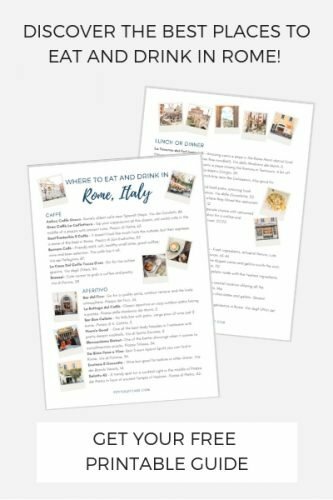 If you prefer to take things at a slower pace, I’d recommend narrowing it down to Gordes, Aix-en-Provence and Saint-Remy-de-Provence. Gordes is one of the more popular towns in Provence and on a hot day in July it was packed. 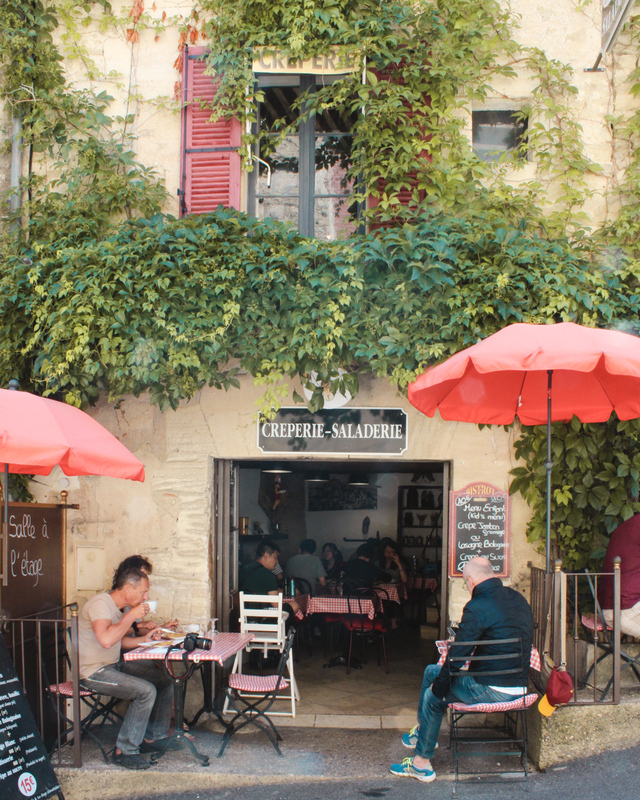 Terraces and narrow alleys were full of people eating lunch outside and exploring the small town. I’ll be honest with you though, I’m still a little bitter about a parking ticket I got while I was pulled over (not parked at all and still actually in the car!). Gordes itself might have left me in slightly grumpy mood, but that quickly faded when we drove to the nearby Sénanque Abbey. This truly is a must see in the area if you’re there when the lavender is in bloom. 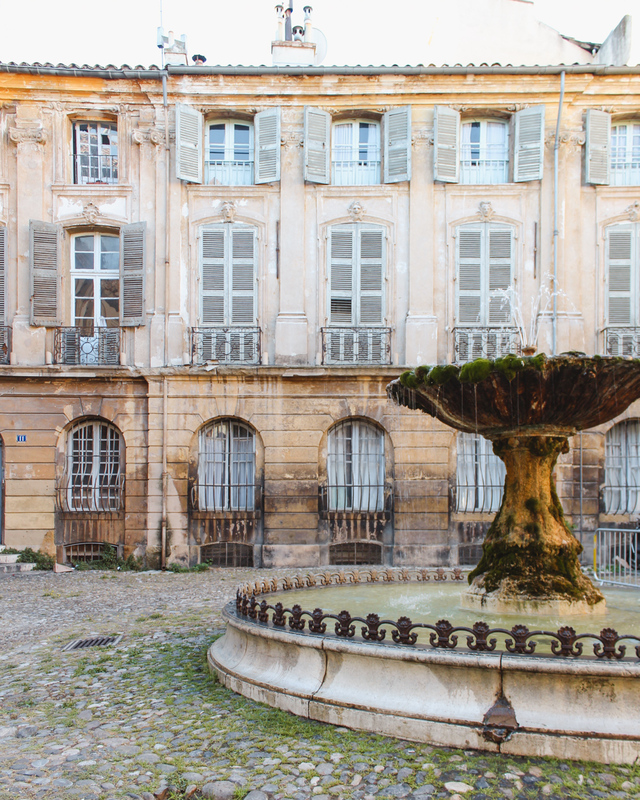 We chose Aix-en-Provence as our base to explore Provence and arrived to our airbnb in the evening. 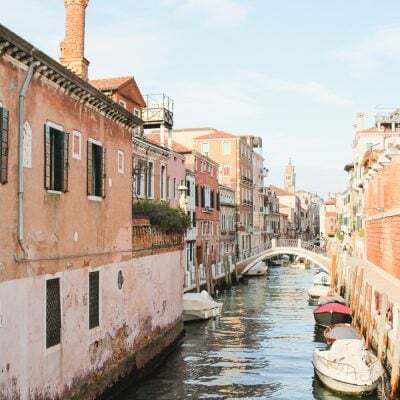 It was located right in the city center, making it easy to walk to the outdoor markets. 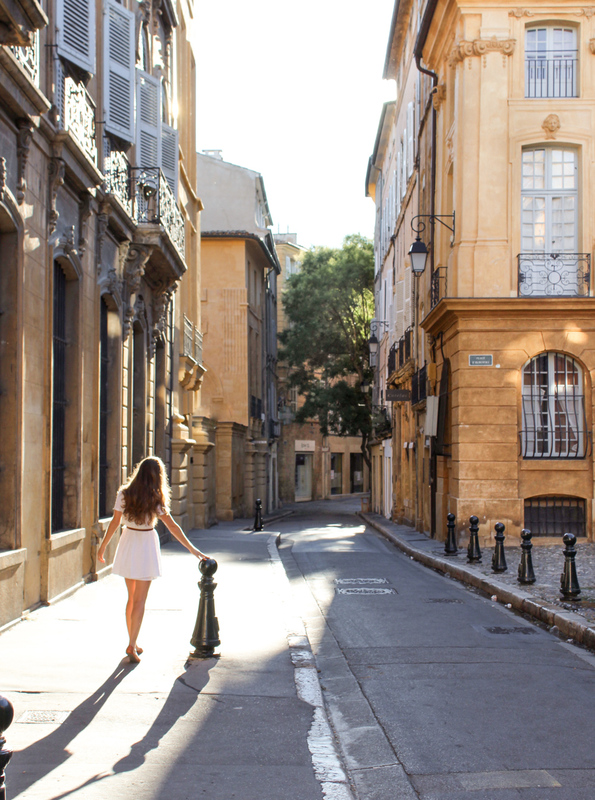 Aix-en-Provence feels like a quiet town in some places, but since it’s still a city you’ll have plenty of restaurants to choose from. 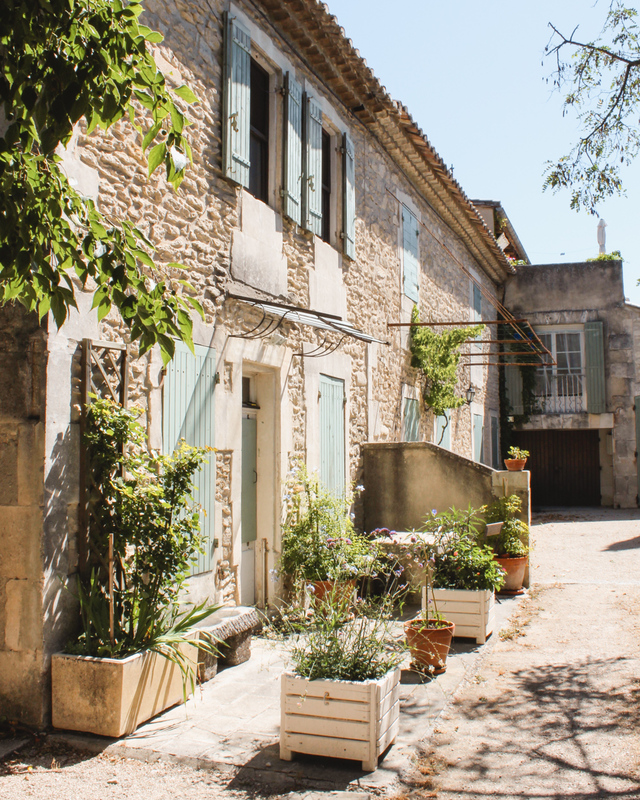 If you prefer a more sleepy country town as your base, I’d pick a rural château or stay in Saint-Remy-de-Provence. 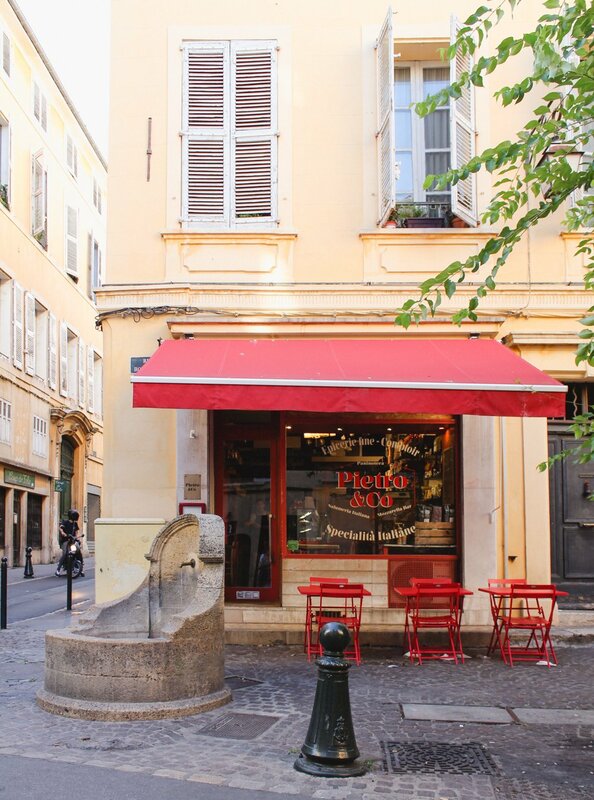 Spend the rest of the evening shopping, eating and hopping from one wine bar to the next. 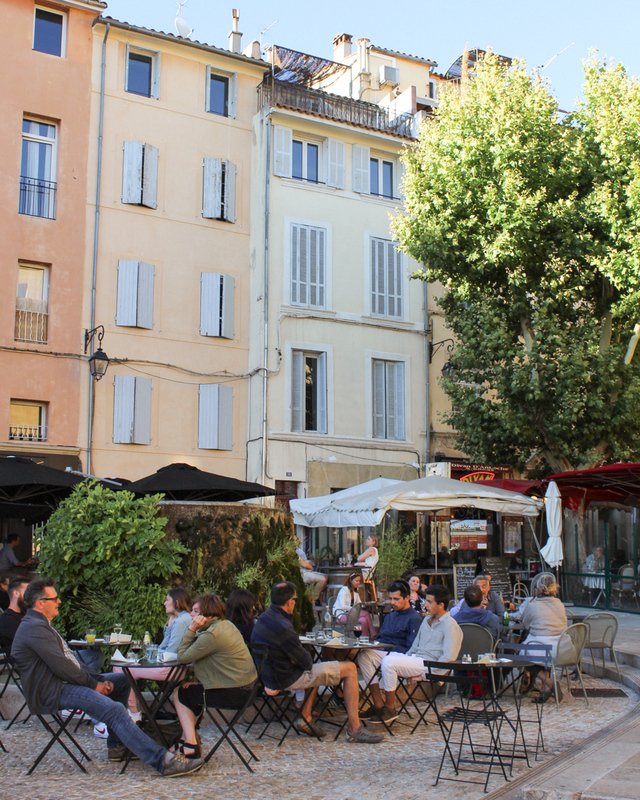 I loved the relaxed vibe of Bacchus and all the outdoor restaurants in Place des Cardeurs. Wake up early to get the fountain in Place d’Albertas all to yourself. Then, enjoy a fancy breakfast pastry and coffee at Patisserie Weibel. 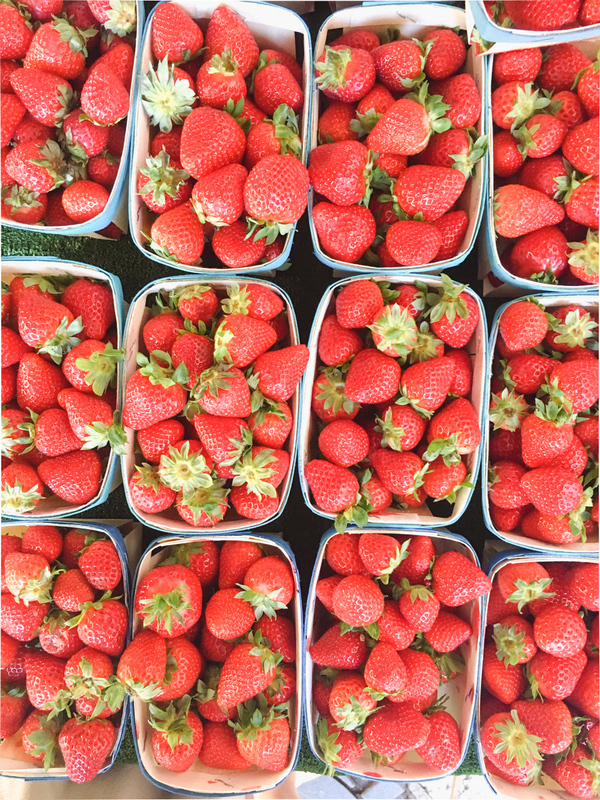 Right around the corner you’ll find a market with fresh produce, cheese and meats in Place Richelme. The main market square is going through some construction, so the markets are in different places around the city. I found this website helpful for when and where the markets are held. 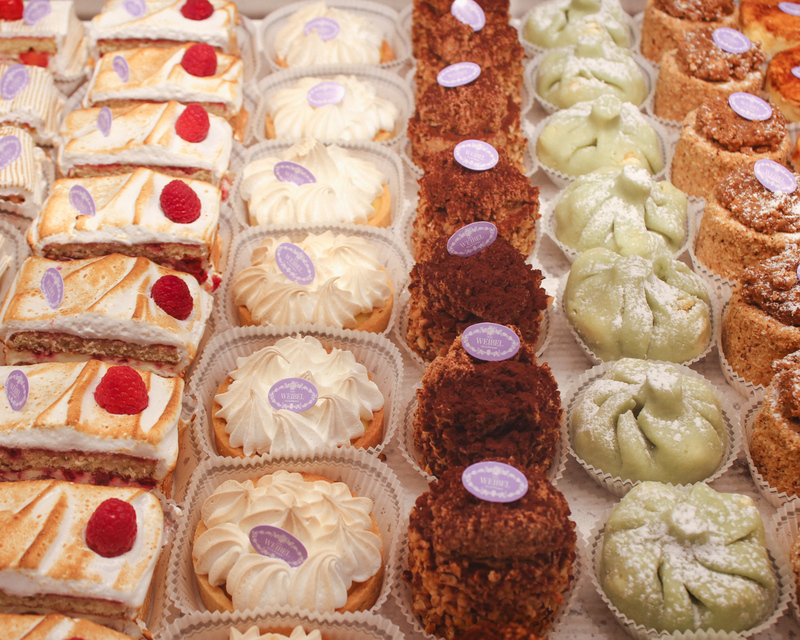 Grab some goodies for a picnic lunch and hit the road by noon. 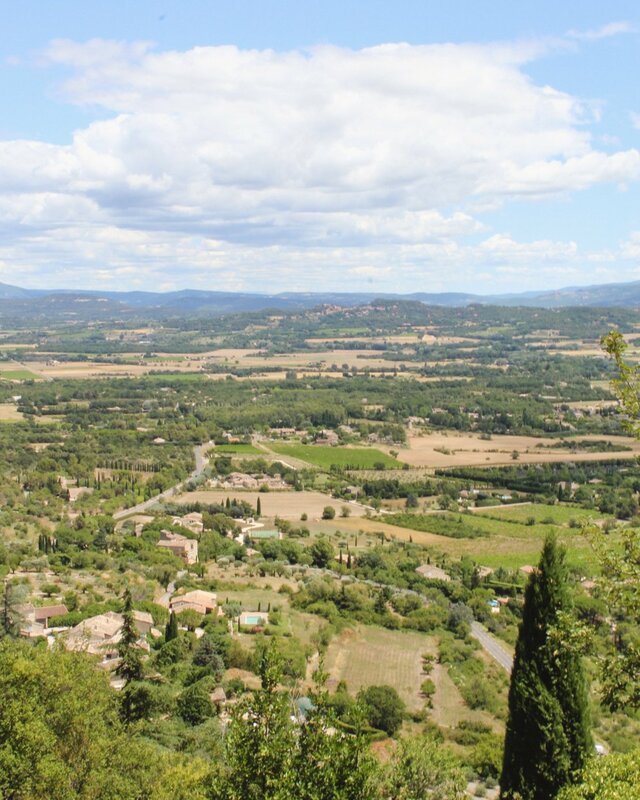 Ansouis isn’t quite as well known as Gordes, but it was less crowded and also offered some stunning views. We sat right at the edge of town and ate our picnic under the shaded pathway. On the way up to Roussillion, stop at a lavender field near Bonnieux. The Luberon region has many lavender fields, but you really have to go to Valensole for the “lavender as far as the eye can see” photo. 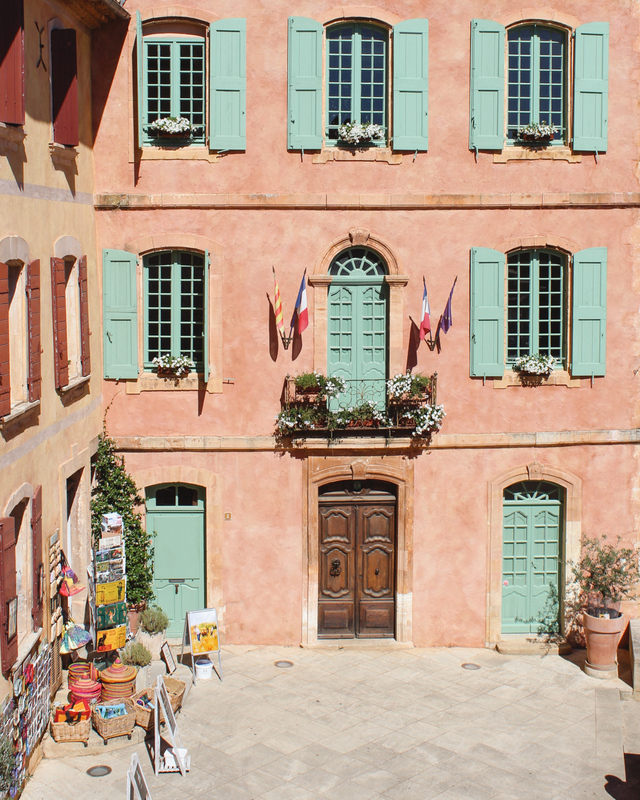 Roussillion is one of the more unique towns in Provence, mainly because its buildings are all shades of red. It’s home to one of the largest Ochre deposits in the world. 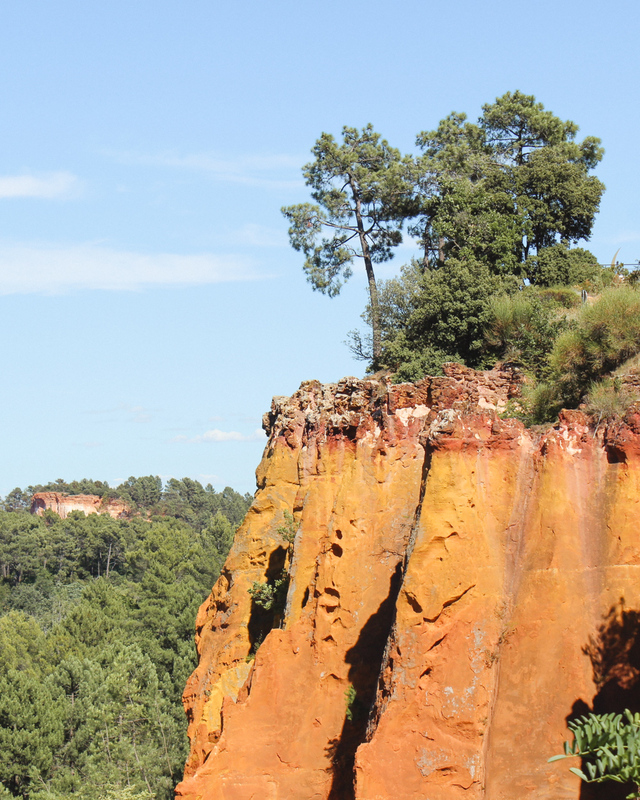 You can also explore the nearby Ochre Trail for a few euros. 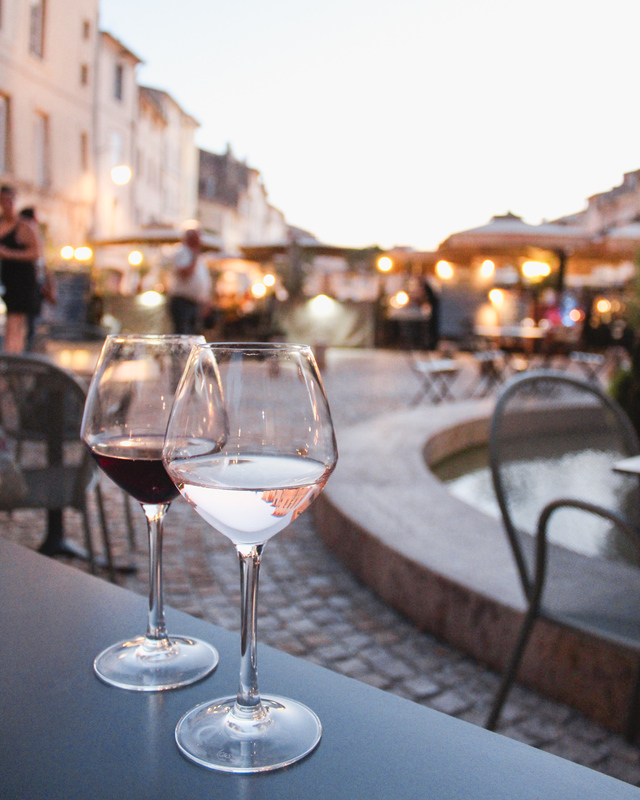 Head back to Aix-en-Provence for dinner and of course, more rosé. 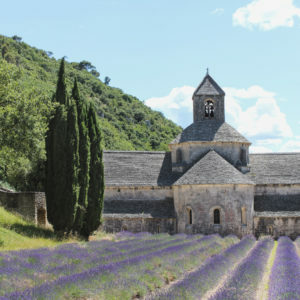 On your third day, drive a little over an hour to the Monastery Saint-Paul de Mausole. There’s been a monastery there for over 1000 years, but it was made into an asylum in 1807. Van Gogh lived and painted there for about a year towards the end of his life. 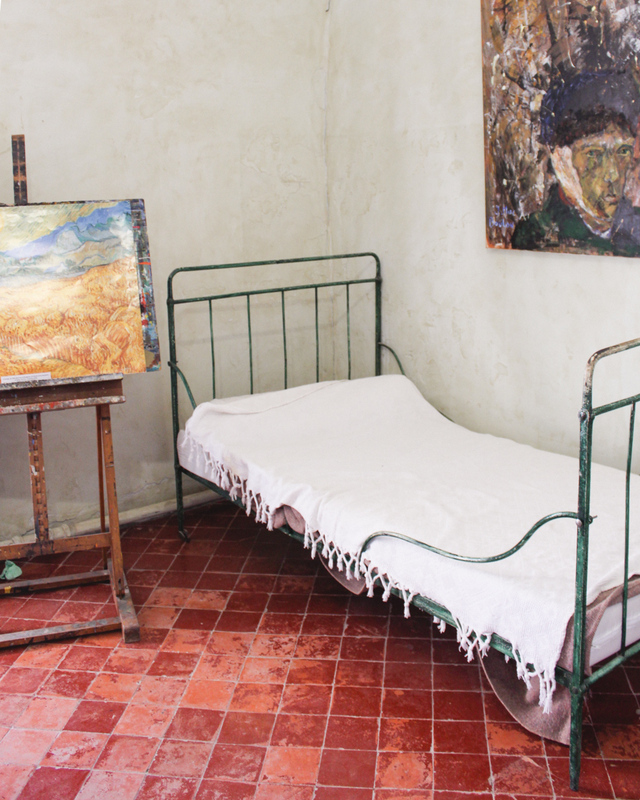 The asylum today acts as a living Van Gogh museum and is a must see for any Van Gogh fan. It’s a beautiful, yet somber place full of history. 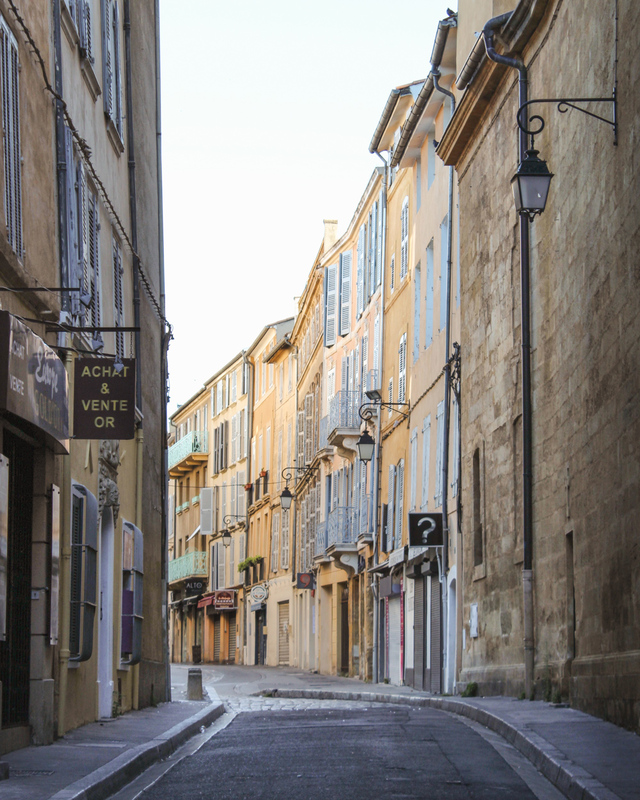 It’s an easy walk from the monastery to the town of Saint-Remy-de-Provence. Grab lunch in one of the many charming outdoor patios. From there we drove up to Lyon for a night and took a flight back to Naples from there. 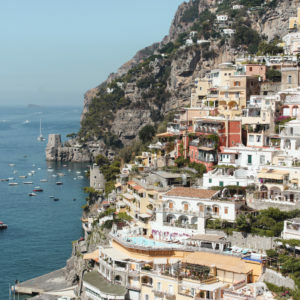 I tend to steer clear of the busiest tourist season and prefer to travel in shoulder season, but for this trip I just embraced it and went in the beginning of July. 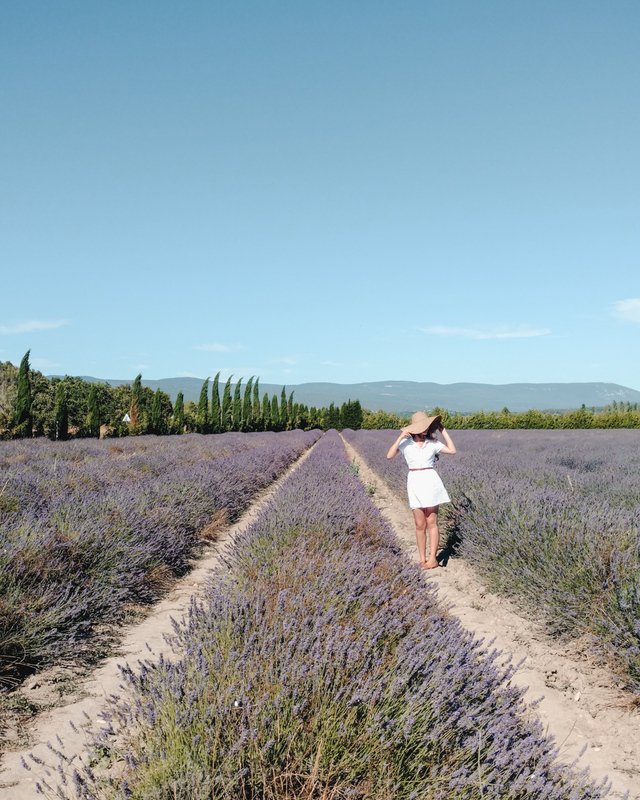 I really wanted to see the lavender fields, enjoy the best of the outdoor markets in Aix-en-Provence and have nice weather. So, I bit the bullet and went at the peak of summer. 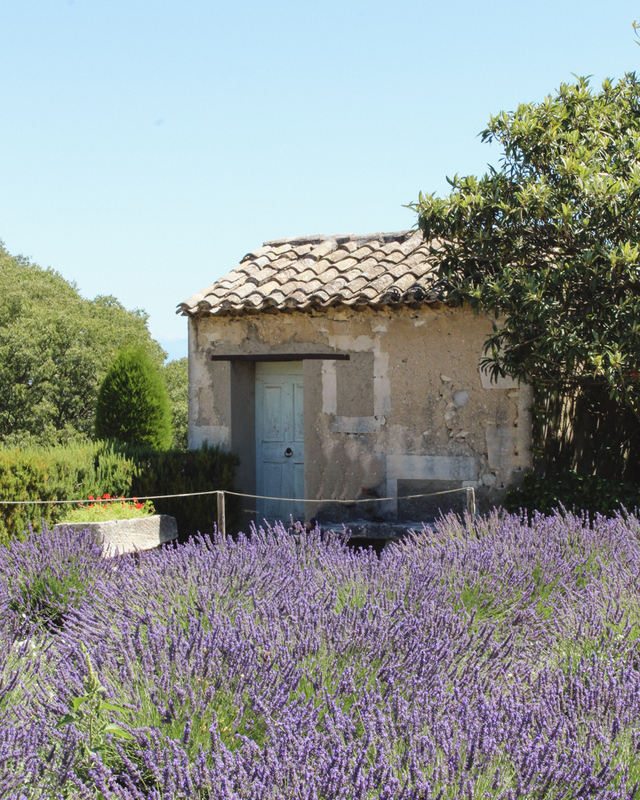 If you’re not particular motivated by lavender, Provence would assuredly be beautiful in spring and fall. There are several ways to get to Provence. You could fly into Nice or Lyon and rent a car. 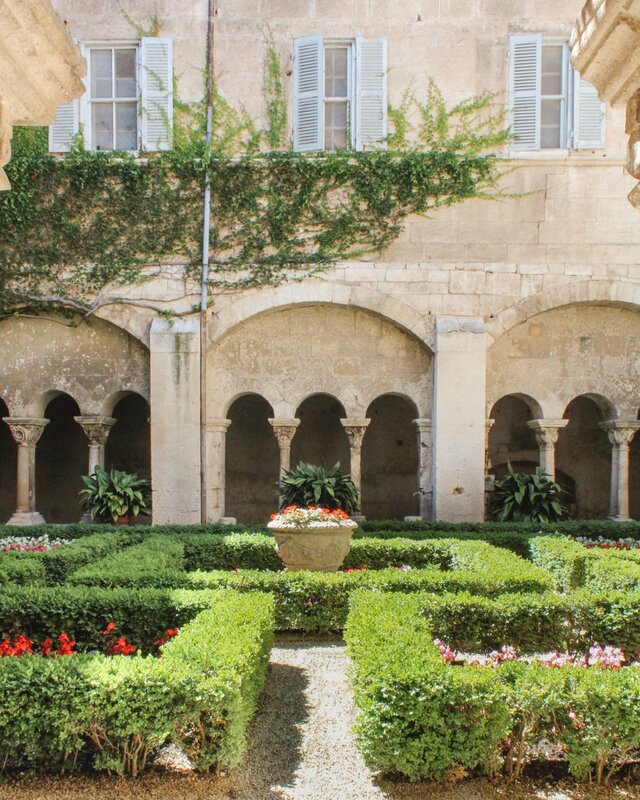 If you’re coming from Paris, it would be easy to take the train to Avignon or Aix-en-Provence and rent a car from the train station. Either way, I think it’s best to rent a car to really maximize your time and be on your own schedule. Keep in mind parking is about 20 euros a day at the garages near Aix. Thank you so much! Glad you found what you were looking for!